As you can see the bulk of the cost was from the electronics. This time around I did not buy the brushless conversion kit because I did not like how everything mounted up, so I made my own. 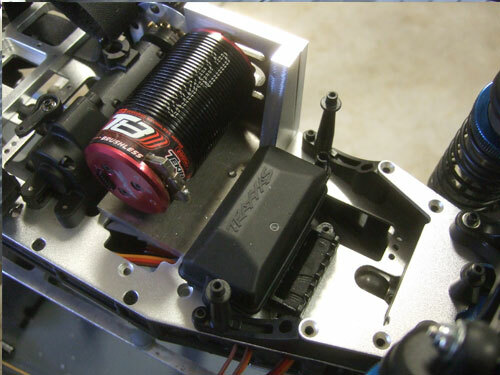 I was able to use the battery tray that I made for the Cen Matrix brushless conversion I did awhile back. I did make some minor adjustment to fit my application. Then I built a motor mount from scratch. Majority of the motor mount is made out of 1/4 inch thick 2024 aluminum, with the exception of the side brace where I used 6061. Surprisingly, 2024 is almost twice the tensile strength of 6061 and its only drawback is the poor corrosion resistance. 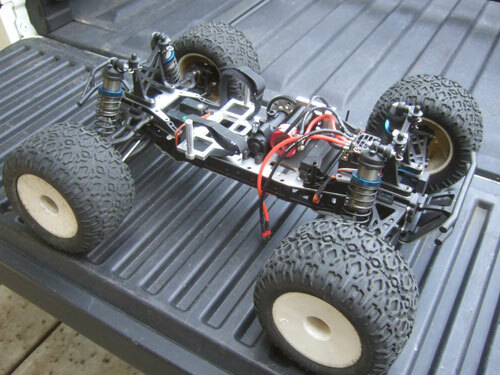 Even if I used the Losi brushless conversion, it does not come with a single speed hub. I would have to purchase it separately. 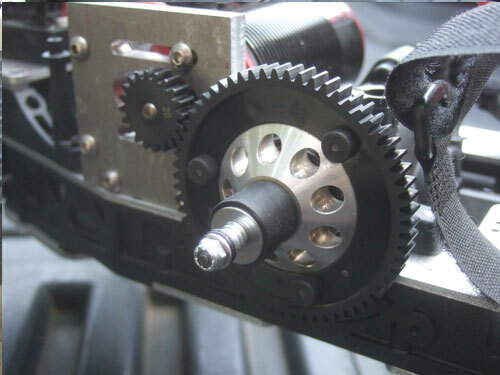 The reason why you would do this mod is because the brushless system has so much power that it does not need the lower gear on the 2 speed to get it moving. And most importantly I can use the motor as a brake and go reverse. I found a used single speed conversion hub that was made by TD Racing "the dude", on rctech. It usually sell for $40 just for the hub, but I got it for $30 and it came with the high friction slipper clutch, cage, and shaft, so pretty much everything I needed. The last time I got the Losi single speed conversion hub, it worked fine. But that would not included all the extra stuff I got with the used hub. 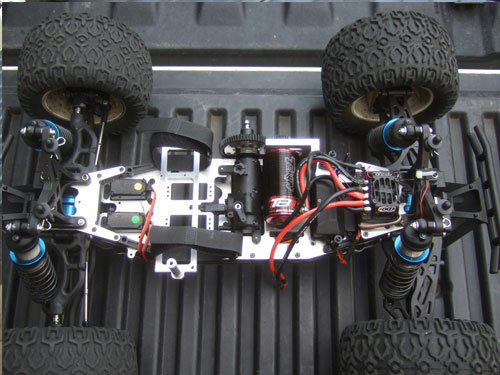 Like what I did for my previous LST I used a Traxxas waterproof radio box, to protect my receiver and keep all the wires nice and neat. 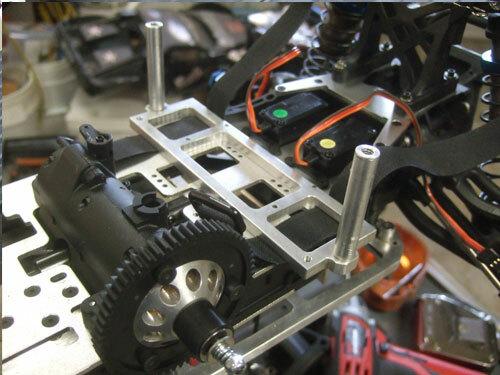 And finally I cut a thin sheet of aluminum and mounted the Tekin RX8 on top of the upper chassis plate. Take a look at the pictures above. 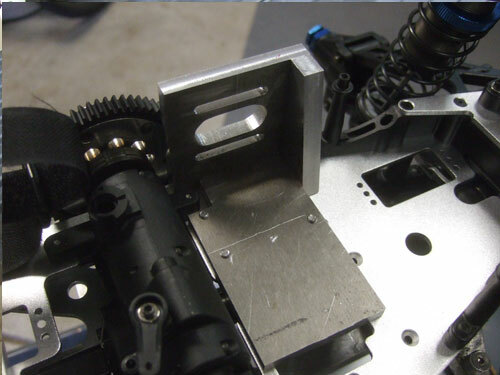 Do you see all the extra space in front of the radio box, and the four empty screw holes on the top chassic plate? 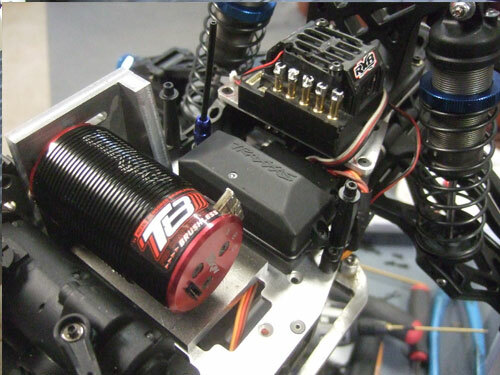 That is where I made an plate exactly the same shape and mounted the ESC, as shown below.